Worked with Mark and his team over a year long process. 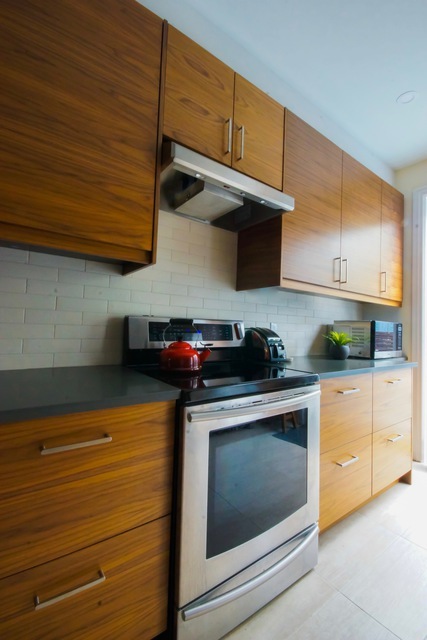 Fully gut renovated a large condo kitchen and two bathrooms. During the process Mark was always realistic with budgets and expectations. He was very good at assisting and building on our ideas to make each room better and more functional. In the end the only items that went over budget were when we decided on more expensive material options. The Ashton team was exceptionally good dealing with our condo building staff and management. They were always aware of keeping the work area and building common areas clean. Thanks Chad. Doing the project was a lot of fun, and it really does look beautiful. 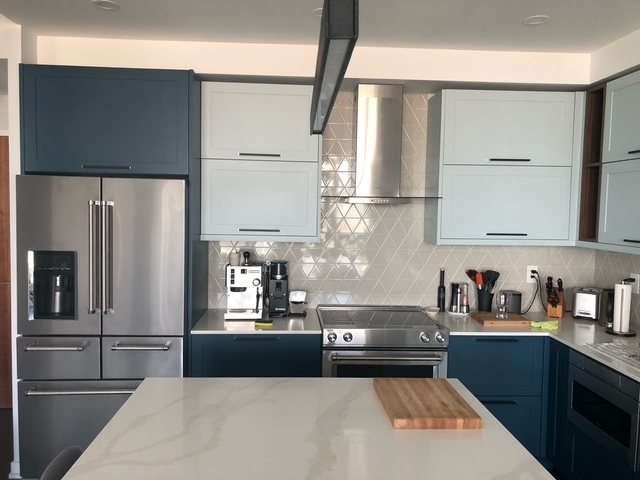 I hired Ashton Renovations last year to complete work left incomplete by a previous contractor, so when I needed a contractor again, I went back to Ashton Renovations. Recently I moved, and did renovations at the same time. Most times, not a good combination, but I had no choice. The team at Ashton was professional from beginning to end. Mark guided me through the start of the renos just after I’d moved — a very stressful time, for sure. Chris was equally supportive, and the quality of his work is outstanding. They both appreciate and understand client concerns, and do what it takes to address and resolve them. Working with Ashton is not like any of the stories you hear about contractors — they’re absolutely reliable and committed to providing a quality customer experience. I was relieved to be able to depend on both Mark and Chris. Thanks for your feedback and kind comments. Both Chris and I hope you enjoy your new home for a long time. If there is anything you need please don't hesitate to call. Five stars (more if I could give them) for Ashton Renovations. I adore my bathroom! 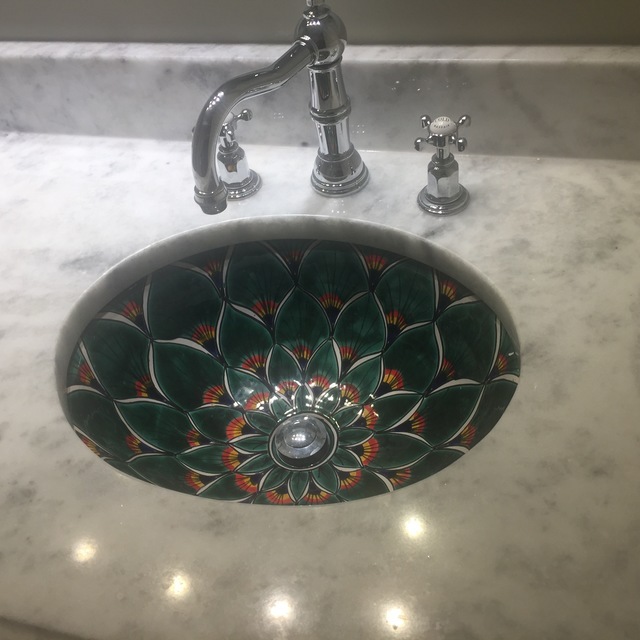 I had a one-of-a-kind ceramic sink that I wanted to install, and their design was perfect. A tiny condo bathroom now has a luxe, individual look. Mark returns calls and emails promptly. Every person he sent (plumber, painter, electrician) was competent and friendly. The stone companies he works with, Charisma stone, had beautiful materials. When I had a last-minute change of mind on one of the choices, Mark rolled with it. Kind, mellow and competent. 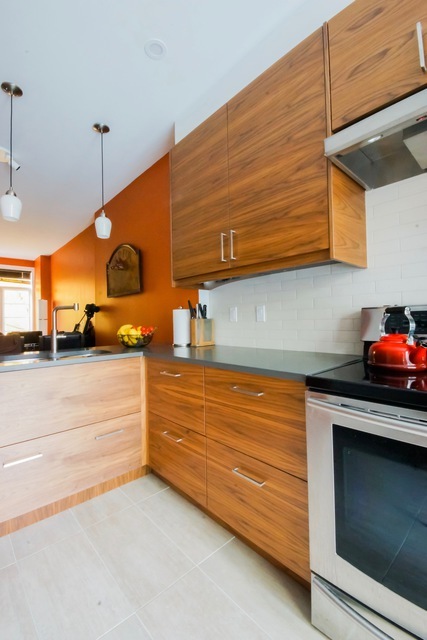 What more can you ask of renovators coming into your small condo space? If you want a cookie-cutter fast job, this isn’t for you. But if you want something individual, that will take time but please your whole soul, Ashton Renovations is the best. Thanks for your kind comments Molly. Your bathroom was fun to do. 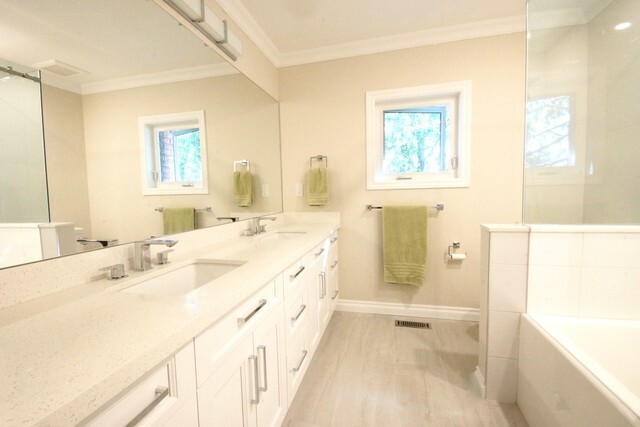 I especially like the personal touch of the sink. 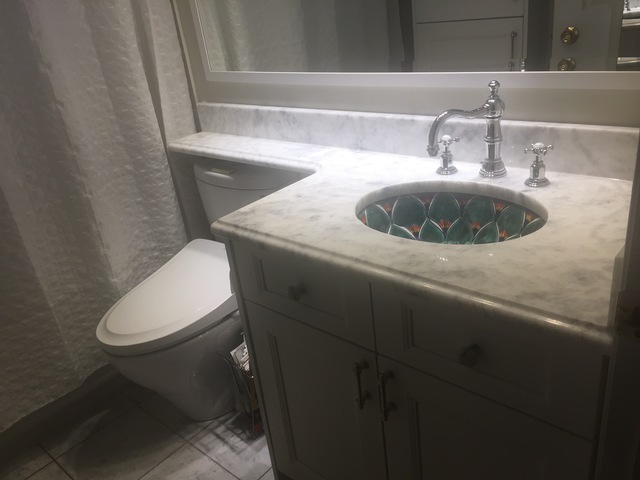 We had a positive experience with our powder room renovation in 2017 and chose Ashton Renovations a second time to demolish and fully renovate our two upstairs full bathrooms. We had the confidence that the workmanship and quality of building materials would meet our needs. We appreciate Mark's knowledge, experience, assertiveness and his assistance in choosing products (e.g., tiles, cabinets, plumbing fixtures). We are very pleased with our two fully renovated bathrooms. Mark and his team are very polite, personable, efficient yet respectful of our home, and effectively communicated and managed expectations with regards to their daily schedules and tasks. Thanks for your kind comments Margaret. We are happy that you are pleased with your new bathrooms and hope you enjoy them for many years. 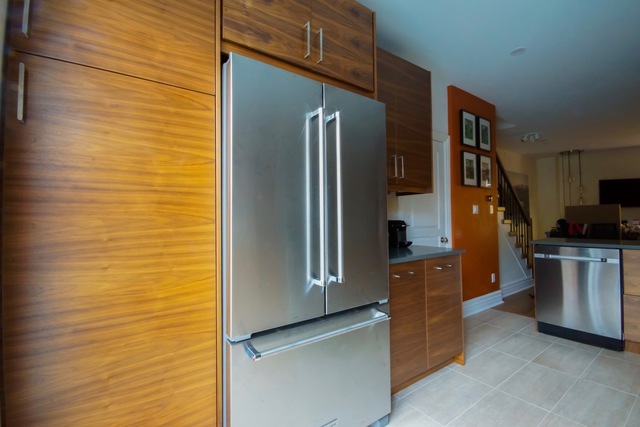 This was our second major kitchen reno with Aston Renovations. There's a reason why we wanted to work with them again. The team is professional, accountable and trustworthy. 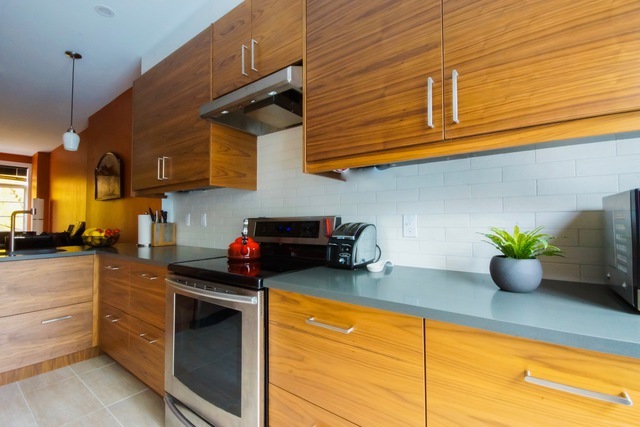 They provide great recommendations for kitchen design and source quality materials and service providers. We're very happy with the result and glad to have had a chance to work with this team again! Always an enjoyable experience working with you both. Looking forward to the next Renovations on your home. Basement full renovation and removing a main floor wall. Our experience with Ashton Renovations was overall (very) positive and I would recommend them for general house renovations. Things that are top of mind when I think about our experience is that Mark Ashton has high integrity and cares very much about the work he completes. Mark and his crew are also very thoughtful and considerate about the work he completes and he and his staff take time and care to do their jobs thoroughly and properly. This was our first renovation and we have heard and seen numerous jobs that seemed to have been done quickly and in some cases carelessly. So this attention to detail and quality craftsmanship made our first experience a very positive one. The core Ashton Renovations crew was also exceptionally tidy both during the demo and just in general when working here. Even though we were not living at the house through the renovation, they clearly took great care to leave the place clean and safe each day after working. This was very much appreciated as we were regularly visiting with our child and dog to spend time at the house as well as review the work done. The only exception would be the first set of sub-contracted electricians we used through them who left the house noticeably messier than the Ashton Crew. However, the second set we used on later work were very nice and helpful as we had lots of questions for them and they were working in tight quarters. I would also say the core team at the time we worked with them were very friendly and courteous which was important as we have a young daughter as well as a dog who were very comfortable with them working in the house. The only negative thing that occurred during our job was that it took longer to complete than we had anticipated and we felt the communication about the delay could and should have been better communicated. I had expressed this to Mark who acknowledged this and agreed to do a better job both with us and other customers in the future. All in all, the Mark and his crew did an excellent job on our house and we would definitely recommend them. Thanks Samantha. We appreciate your feedback. Since completion of your project we have enhanced communication with our clients using Builder Trend Project Management Software including periodic logs from trades to our customers, which keeps them informed with photos and project details. Our scheduling notification has been expanded as well. We hope you are enjoying your new home and that wonderful PRIVATE backyard! Mark is a great person to work with. Responsive, patient and ethical. Happy with our new bathroom! Thanks for your feedback. We hope the new bathroom makes things easier. We enjoyed working with you, and all of us loved the view from your beautiful condo. We are very pleased with the complete renovation of our main floor powder room. Mark and his team were professional, polite, showed good attention to detail, and ensured that the renovation site was contained. We are very happy with Mark's guidance on the overall design, choice of floor tiles, vanity, and accessories. Thank you Margaret for your feedback. 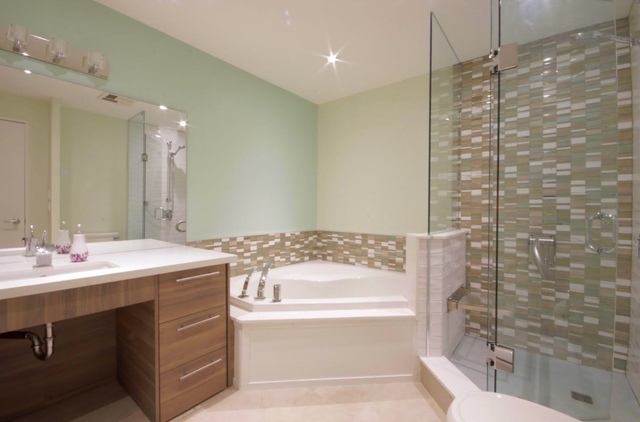 We look forward to doing your upstairs bathroom this coming March. I wish I’d known about Ashton Renovations before I hired another contractor after a flood in my condo. Ashton came in and finished the work left incomplete by the contractor I hired. It was small work relatively, but they did the work I couldn’t. 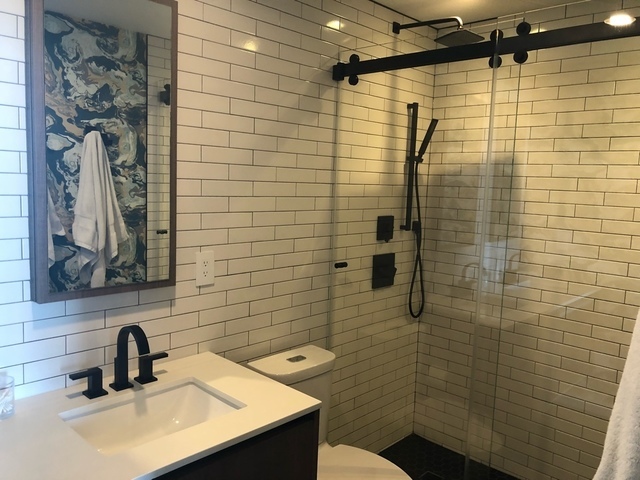 The attention to detail is what you want in a contractor — Ashton finished work left undone and corrected work left as complete by the other contractor. I highly recommend them, and look forward to working with them again for a move in the future. Thanks Robin. We were glad to help and sorry your last contractor wasn't able to finish things for you. We look forward to working with you again in the future as well. Take care. We Are A Team Of Experienced And Reliable Contractors, And Can Handle All Your Renovation Needs. 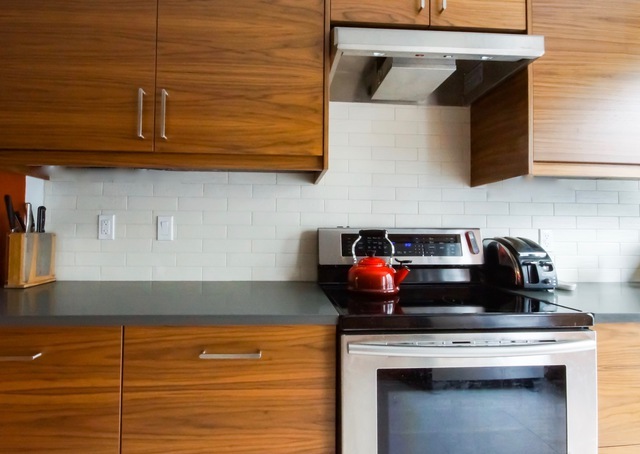 Ashton Renovations is one of Toronto's leading renovation specialists. 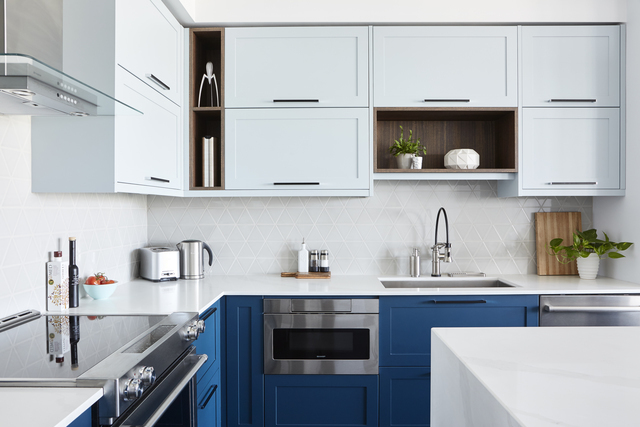 For over 20 years, we have provided a full spectrum of services, including kitchens, bathrooms, Toronto whole house renovations, and basement finishing. From planning & design, through all phases of construction using our project management software, we provide the expertise, trades, and suppliers required to make your project a successful one. We have built a solid reputation with her clients for quality workmanship, and project professionalism. Our unique approach to working closely with our customers, and our care for craftsmanship, has led to countless successful renovation projects.